HID Global's SIO enabled ecosystem offers a highly secure, standards-based, technology-independent and flexible identity data structure based on Secure Identity Object (SIO), a new open credential standard. 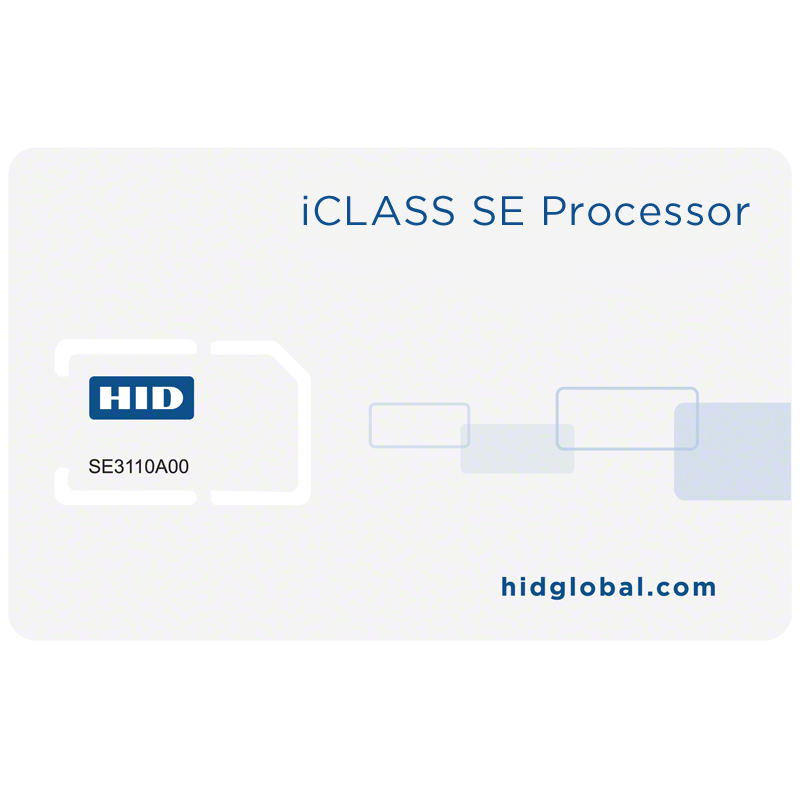 HID's iCLASS SE Processor sits on top of all existing card technology and supports the interpretation and authentication of the SIO data structure to increase overall system security; it also supports key emerging technologies, delivering superior performance and enhanced usability. 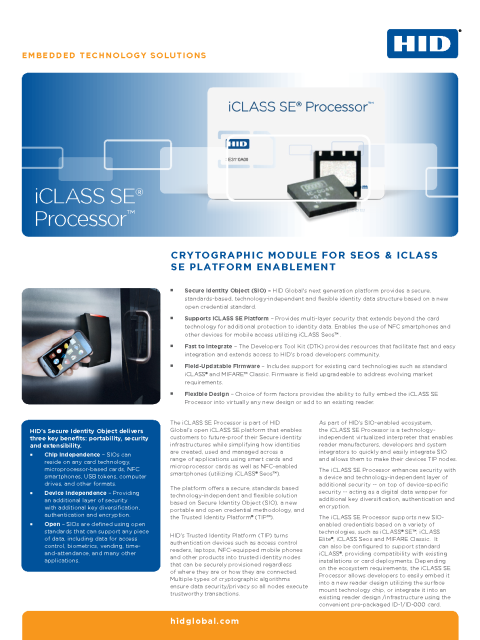 As a virtualized interpreter, the iCLASS SE Processor enables reader manufacturers, developers and system integrators to quickly and easily integrate iCLASS SE and iCLASS Seos capability into their devices, providing a device- and technology-independent layer of additional security on top of device-specific security that acts as a digital data wrapper for additional key diversification, authentication and encryption. The iCLASS SE Processor supports new SIO-enabled credentials based on a variety of technologies, such as iCLASS SE™, iCLASS Elite®, and iCLASS Seos. It can also be configured to support standard iCLASS, providing compatibility with existing installations or card deployments. The iCLASS SE Processor allows developers to easily embed it into a new reader design utilizing the surface mount technology chip, or integrate it into an existing reader design /infrastructure using the convenient pre-packaged ID-1/ID-000 card. iCLASS SIO Enabled (SE) credentials authentication and command set. Standard iCLASS credentials authentication and command set.